Suburban Slim returns to Mock Crest Tavern on Friday, September 6th. He starts your weekend with great tunes in the way only Slim can do. The show begins at 9:00 p.m. Suburban Slim, a multi-award winning guitarist, singer and songwriter, recorded his first album at the age of 15. After he toured Oregon, he decided to move to Eugene. He stayed for 15 years before relocating to Portland in search of a larger music scene. Not long after, he released three CD’s of original tunes. 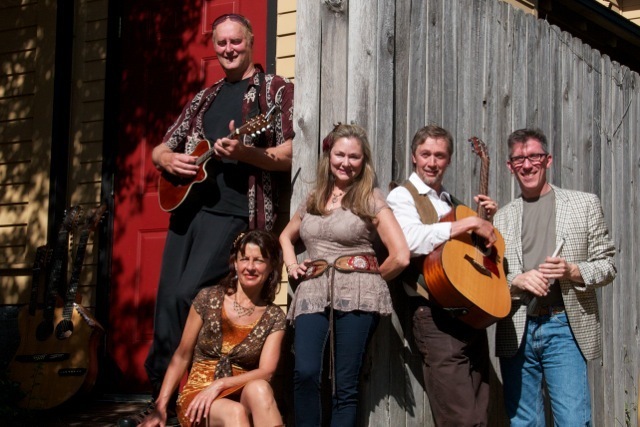 The Adequates perform at 9:00 p.m Saturday evening September 7th. The band’s music includes songs from the 60′s, 70′s and 80′s. Don’t forget to arrive early to order from the “Happy Hour” menu available from 3-6 p.m., or wrap up the evening with additional “Happy Hour” times of 11 p.m. to 2 a.m. There’s also a drink special each day, so ask the staff what they’re mixing up. Just a reminder, there’s never a cover charge at the tavern! Check out their website for daily food and drink specials. They offer a great variety of food for every taste out there, and you can’t beat the awesome customer service. They truly recognize the importance of their customers. Johnnie Ward & the Eagle Ridin’ Papas perform August 6th at 8:30 p.m. Don’t miss this great blues and rock band. Johnnie Ward, originally from Portland, performed with some of the greats including the PH Phactor Jug Band. He warmed up the crowd and opened for Moby Grape, The Grateful Dead, Pentangle, The Doors, and many more famous groups. Johnnie made a mark in music history for his participation in the musical movement that resurrected the blues venue in Portland in 1970. He was the first act to play The White Eagle, which was the first post-war Portland Blues club. This band delivers an original blues sound. Johnnie often accompanies them on harmonica and saxophone. Some of his tunes are available on myspace, and you can also visit them on Youtube. 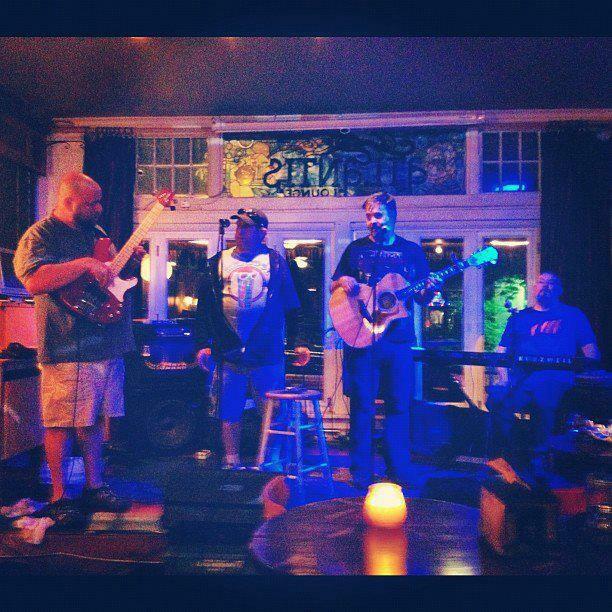 Claes Armoth of the Blueprints performs at 8:30 p.m. Thursday, August 8th at Mock Crest Tavern. Claes Almroth, originally from Sweden, grew up in the San Francisco Bay area. As the years passed by, his interest in music blossomed and he began playing the piano. It wasn’t long until he picked up the harmonica. At the age of 13 or possibly 14, the “underground” FM rock radio came into existence . Claes became enthralled with artists such as Paul Betterfield, Charlie Musselwhite, BB King, Muddy Waters and Robert Johnson. He also became familiar with British blues artists including Savoy Brown and Fleetwood Mac. They became huge influences in his life and encouraged him to continue in his musical journey. After Claes visited New Orleans and witnessed a performance by Punch Miller’s Bunch, he became a changed young man and his musical journey truly began. March is over and we’re all familiar with the saying “April Showers brings May Flowers”. By this time most of us are ready for the rain to end and move into dry sunny days. But, April showers? Who cares? Mock Crest Tavern hosts a weekend packed with great music, so regardless of the weather you’re guaranteed a great time. Suburban Slim kicks off the weekend at 9:00 p.m. on Friday April 5th. If you’re not familiar with him, Suburban Slim is an MCT favorite with his blues sound. Phil Wagner (aka Suburban Slim) brings some mad skills to the table. He has played the ukulele since childhood and later added the guitar. Originally from Northern California, he began recording at the age of 15. Later, he toured Oregon and moved to Eugene where he stayed for several years before relocating to Portland. As his music career grew, he released three Cd’s of original tunes. The Adequates perform at 9:00 p.m Saturday evening April 6th. The band’s music includes songs from the 60′s, 70′s and 80′s. Stapleton’s vocals and guitar shine through with songs from the Stones, and The Clash. Enjoy your weekend, and we’ll see ya there!